Come relax at Luana Kai Resort in North Kihei on Maui’s sunny South shore. Leslie Brown’s managed accomodations come with her attention and warmth. She provides a welcoming smile for every visitor. Our many returning friends call Luana Kai their ‘home away from home’, and we feel the same. Every apartment has free broadband and WIFI internet, a full kitchen, bath, laundry, cable TV, and in-room voice mail service. Even with our great rates, we’re near to world famous restaurants, world-class performance venues, and activities. Only 5 to 10 minutes drive from Hawaii’s best beaches and golf. When you’ve seen it all, read a great book from our free library while you tan at the pool. Enjoy the sauna, whirlpool, cabana kitchen, and gas barbecues. You can also play tennis on regulation courts, putter around on our nine hole golf green, or try your hand at traditional shuffleboard. Watch for whales swimming and breaching from November through May when our humpback friends are all part of the family. After a spectacular sunset, you can cool off in one of our optionally air-conditioned condos. You can stroll the park and beaches and view windsurfers, fishermen, whales, kites and kite-boards. Like so many people before you, we hope to have you come and enjoy our Kihei vacation rental accommodations and have Luana Kai Resort as your home away from home. 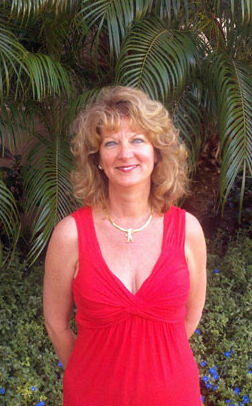 Select a condo to enjoy our reviews and image galleries for all of our Maui condo pictures. Important: Air conditioning is by request in select rooms: $25.00/night in 1 & 2 bedroom condos. $30.00/night in 3 bedroom condos. A cleaning fee will be due on check in. No content may be reused without permission - Inquire here.